What better way is there to ring in the New Year than with friends, family and a good glass of wine. No matter what your preference is, see out the year in style. 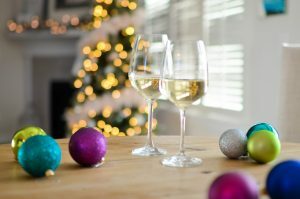 From reds to white to sparkling, Ideal Wine Company has amazing suggestions for the final party of the year! What are the perfect wines for your New Year’s Eve party? 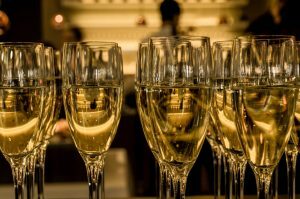 The ultimate celebratory tipple, champagne really is a great way to toast the new year. Whether you’re heading out to a party or staying in, this full-bodied wine with a rounded sweetness is a perfect choice. Its citrusy freshness adds a complexity to a fruity expression. Try a dry option if you don’t want something too sweet. Alternatively, you could try other sparkling wines if you want to break away from the seasonal norm. Prosecco, for instance, is less intense than its French counterpart and pairs well with light cheese and dark chocolate. Perfect for parties. This party season, why not try something completely new? A blend of red wine brings together all the flavours you look for in a wine into a surprising yet delicious glass. These create a memorable experience for all who try them, the layers of depth, complexity and rich flavours offering a twist on a classic. Try expanding your blend choices. A classic Cabernet and Merlot blend always goes down well. But if you’re feeling adventurous, the unique blend of Zinfandel, Tempranillo, Petite Syrah, Touriga Nacional, Mourvedre, Grenache, and Cinsault currently gaining popularity is sure to be unforgettable! New Year’s Eve is a time to enjoy the classic staples done well. This light-skinned grape offers a less intense red that pleases both red and white wine drinkers. Offering an exotic bouquet of ripe red fruit, Pinot Noir is a graceful addition to any party. Notoriously difficult to perfect, a well-made Pinot Noir is a truly delicious and memorable choice. Try finding a vintage from 2010 or 2012, both of which were good years for this variety. Gaining in popularity over recent years, Vinho Verde is perfect for those who enjoy a crisp and refreshing glass. This Portuguese white is light, fizzy and easy to drink. Look out for the more serious versions of the wine being created. These textural and dry offerings often include notes of citrus and pear. As a lighter option than most, this wine is perfect to enjoy with a heavier New Year’s Eve meal or if you want to stick to a less intense option. This New Year, find a wine to suit your palate that mixes well with a variety of foods. Whether you want to toast to 2018 with unexpected red or white, or a classic glass of sparkling wine, there’s a wine out there to keep everyone happy and in a fine celebratory mode! Winter is the perfect season to stay in and enjoy wine. Here’s what Ideal Wine Company is reaching for when the temperatures drop. Here are our ideal wines to serve this winter. Nebbiolo is a deceiving wine. While its appearance is pale and pleasant, it is often compared to a Pinot Noir, it has many unexpected qualities. With a high acidity and grippy tannins, which give the wine form and grip, you won’t forget this red quickly. Showcasing complex rose, cherry and leather flavours, this complex wine will keep you satisfied. It pairs well with winter squash, mushrooms, truffles and charcuterie, making a perfect accompaniment to plenty of winter foods. A high-acid and high-tannin Italian wine is a must have for this colder and darker season. A traditional Sangiovese is the perfect wine to enjoy with all kinds of winter foods, including roasted winter vegetables and hard cheeses. Its earthy and rustic notes bring smoky overtones to the glass. As well, its complex nose is perfect for sitting and sniffing as you relax. When it comes to winter, we all enjoy something a bit more hearty and powerful. A Shiraz is the perfect answer to those needs. Described as big and brooding, this red is an ideal warmer. It is known for its powerful black fruit flavours and savoury undertones. It has a high ABV (coming in at around 14-15%) but if you can’t indulge at Christmas, when can you? It’s not for the faint of heart, but is a delicious choice for when it’s cold outside. Cabernet Sauvignon is such a classic, it’s almost seen as a cliché this time of year. This speaks to the popularity of the wine this time of year. Undoubtedly a favourite of many, this wine is a layered and complex option. Pairing well with a seasonal roast and red meat, this fruity red is a staple of the season for good reason. Try an Old World variety for a surprisingly subtle option. An oaked Chardonnay works well with the hearty food of the season. It’s lightness cuts through the richer fare and provides a palate cleanser between bites. This works particularly well with turkey, sea bass and gruyere cheese. Rich and buttery, this full-bodied white has dominant flavours of vanilla, butter and caramel, with a touch of citrus. Reminiscent of other holiday favourites, such as eggnog and hot buttered rum, a Chardonnay will pair wonderfully with your Christmas feast. To add to a thoroughly festive season, Champagne brings a party atmosphere. It is light and versatile, providing a refreshing quality that is often overlooked. When it comes to winter food, it pairs well with so many favourites, from Christmas ham and bacon to cheeses and nuts. Whether you want to enjoy this at a party or celebrating at home, Champagne provides the perfect uplift to cure any winter blues. Try on Christmas Day or New Year’s Eve to properly celebrate the occasions! With all the wines this time of year, it’s important to find one suited to your needs. A bold red is always a popular winter warmer, while a refreshing white provides a welcome respite from heavy foods and drinks this time of year. With many of us spending more time indoors due to the cold weather, what better way to do it than with a glass of wine? You know Christmas is close when you’re enjoying a warming glass of hot, fragrant mulled wine. The traditional festive beverage, usually made with red wine together with various mulling spices and raisins, can be served hot or warm. With its heady aromas of sweetness and spice, this fruity drink is synonymous with Christmas. While it is a treat that many can’t wait to enjoy, it can be difficult to perfect the right balance of flavours being a struggle for many. 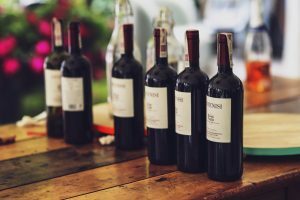 At Ideal Wine Company, we’ve gathered our top tips to help you make sure your mulled wine is a winner this winter. Here are our top tips for perfecting your mulled wine. How do I make mulled wine? Start with a classic recipe – there are hundreds available free online – and they’re easy to follow. While you’re looking make a note of the spices used in them. The more traditional mulling spices are cinnamon, star anise, cloves and nutmeg. But others also include allspice, bay leaves, cardamom, vanilla or ginger. What wine should I use? One of the most common questions for how to make mulled wine is what type of wine you should use. While there are many varieties that can work, we know that it is best to look for certain characteristics. The ideal reds to use are young, bright, fruity and unoaked. These will create a good base to build on, while still bringing a rich taste. We recommend using very fruit driven wines, as these tend to make the best mulled wines. Try using an Italian red, a Southern French or New World Merlot. A Shiraz would also be a wonderful choice. It is also worth noting that quality is important. Always use a wine that you would enjoy drinking. However, it may be best to avoid anything too expensive, as the spices will overpower the subtlety of the wine and that would be a waste. What flavourings should I use? After you’ve chosen your wine, add sugar or honey to sweeten it, but be careful not to use too much as overly sweet wine can become overwhelming quickly. Then you add your spices to give it festive flavour. These should include cloves, nutmeg, cinnamon, star anise and ginger. Make sure you’re careful when you put in the spices – a little at a time so that it isn’t too strong – you can’t take it back out again. Try gathering the spices in a muslin cloth to avoid small floating spices in your drink. In addition to these classic flavours, try adding a spirit to compliment the flavours. You could add sloe gin, Cointreau or Grand Marnier for added kick. How do I mull wine? When you’ve added your spices, it’s now time to mull your wine. The time spent on the heat is very important. You need to infuse the wine long enough for the spices to take on the flavour, but must be careful not to boil it. This will bring out the natural bitterness of the wine that will overwhelm the entire drink. By lightly simmering it, you will emphasise the wine’s fruitiness, perfectly rounding out the flavours. We recommend serving your mulled wine comfortably warm. Mulled wine is the perfect comforting choice for a cold December. Nothing says winter like a steaming mug or glass of festive mulled wine. The festive season is nearly upon us, the perfect excuse to enjoy a glass or two by the fireside. Here at Ideal Wine Company, we have our perfect picks for you to enjoy with family and friends. With fireside wines, we’re always drawn to big earthy powerful reds. 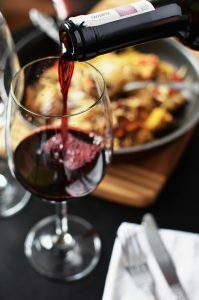 The cold weather is naturally paired with a robust red, with the body and structure to compete with hearty food. Fruitiness, weight and richness help to provide much-needed warmth. Here are some of the best fireside red wines to try this winter. An iconic Italian wine, this typically dry red is made from the partially dried grapes of the Corvina. The blend is fermented then refermented, giving the wine rich and complex flavours. Concentrated redcurrant and cherry flavours can be detected. The brightness of these fruits pairs well with the subtle notes of clove, cocoa and spiced vanilla. This provides a structured taste, with juicy tannins providing a satisfying finish. This full-bodied red offers a real flavour of the Spanish countryside. The oak ageing adds notes of vanilla to the wine’s natural blackberry and herbal flavours. Its smooth and luscious structure provides a long finish. This wine is perfect for firesides or with a hearty casserole, ideal for the colder weather. Providing plenty of character, intensity and complexity, this variety produces an inky depth of flavour. By nature, it is a big red. Its strong fruit flavours bring the rich and sturdy structure a delicious warmth. Try pairing this wine with a meat dish or even a mince pie, as the juicy fruit provides the perfect counterpoint to heavily spiced dishes. The acidity, tannins and richness create a mid-palate complexity that will be well-received by all your guests. A great and classic choice for the festive season. This wine is a fine accompaniment to festive meat, with its fragrant and ripe taste. With a great balance and a velvet finish, it offers notes of chocolate, black cherry, spice and vanilla. An ideal combination for winter’s spiced treats. Originating from southern France, this wine is famous for its robust and intense flavour. This blend is perfectly balanced with concentrated aromas and flavours of blackcurrant, plums and brambles from the Grenache. A warm clove spice creates a rustic and smoky nuance. The full-bodied fruitiness, aroma and tannic structure create a warming wine choice. This wine is a perfect match for a charcuterie or cheese platter, making it the perfect choice to try for a festive party. This medium-bodied French wine is often noted for its smoky, spicy and earthy aromas. Its berry and mocha notes provide a richness that is rounded off with a subtle blend of spices. Working well with hearty dishes such as casseroles and chilli, this wine is the perfect winter warmer. As the nights get colder and darker, and with more time spent inside and socializing with friends and family, it’s time to reach for a more comforting choice of wine. We tend to shift away from the rosé and stainless-fermented wines, leaning towards heavier, oak-aged varieties. The plummeting temperatures are a natural accompaniment to fuller-bodied reds and fortified wines, perfect for fireside nights and comforting, slow-cooked meals. 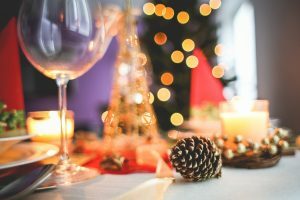 From generous reds, for pies and stews, to warming fortified wines, Ideal Wine Company have a few tips on what to drink this winter. The perfect wines to try this winter season. Cabernet Sauvignon: with this classic choice, you’ll -get classic flavours of dark berry. These blackberry and blackcurrant notes will be complimented by chocolate and toffee. This luxuriousness is balanced out by medium tannins and a hint of spice, which make it a delicious heartening option. Malbec: unsurprisingly, Malbec makes most lists of big red wines. With a smoky and rich taste, complimented by dark blackberry and blackcurrant, this dark red gives earthy and plush aromas. The structured tannins and warm oak lend itself to a bloom of spice on the finish, making it no surprise this wine is a firm favourite for winter months. Rioja: another structured and fruity wine, Rioja provide a lot of character. The ripe plum and berry taste is balanced by its moderate tannins, spice and cocoa. A perfect wintery choice. Amontillado Sherry: part of the anti-sweet wave, this sherry promises a subtle, bitter finish that will cleanse your palate of any overly sweet festive food. With tastes of toasted walnut, burnt sugar and bitter orange peel, this sherry is perfect as an ending to a meal or to accompany a sweet treat. Rasteau Vin Doux Naturel: this sweet red wine is made of 90% Grenache and is the perfect pairing for chocolate. Through its notes of sweet raspberry, exotic spices, cocoa powder and Darjeeling tea, this perfectly matches so many winter comfort foods. From chocolate treats, such as truffles and yule logs, to blue cheese, this warming choice is always sure to be a hit.